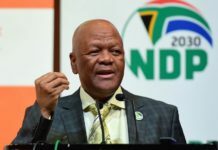 The principles of the National Development Plan (NDP), which South African society must strive to fulfil by 2030, were unpacked yesterday by Minister Jeff Radebe, the minister in the Presidency responsible for government planning, monitoring and evaluation. 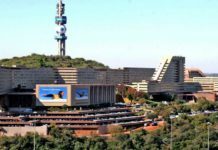 Radebe, also the chairperson of the National Planning Commission, was speaking at a public lecture held at the University of South Africa (Unisa), in Pretoria on 30 September. The NDP, the minister said, identified the critical challenges of unemployment, poverty and inequality that needed to be addressed. It also outlined the actions and measures that needed to be taken in order to achieve the vision. It outlined the physical, human and institutional capabilities necessary to ensure socio-economic transformation, Radebe added, saying it highlighted the importance of clarifying roles and responsibilities of different actors in government and society, to ensure effective implementation. “In this sense, the NDP is not the plan of government or the ruling party, but a plan for South Africa that is inclusive of all sections of society in which the state has a specific role relative to the roles of others,” he explained. Reiterating the minister’s remarks after his presentation, human rights lawyer Tseliso Thipanyane, who is the chief executive officer of the Safer South Africa Foundation, said the minister’s message about the NDP not being a government plan but a national plan that needed all sectors of society to participate in implementation, was an important one. 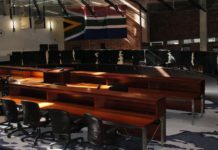 It was a message that academics and their institutions, such as Unisa, had an important role to play in making the plan a success. 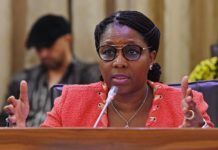 South Africa could no longer have many young people with university qualifications which are not being used to contribute to the socio-economic development of the country. During his lecture, Radebe expanded on the NDP’s encouragement of good governance, as part of the non-physical infrastructure that needed to be developed to support socio-economic change. He explained that “the decisions about how to spend public resources, what to prioritise in the face of competing demands, the sequence in which to implement priorities, is a function of governance”. The decision about how much weight to give to international developments that affected our development, as well as the type of relations to have with other nations were functions of good governance. 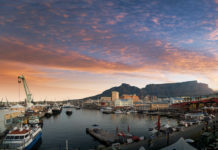 Communicating these decisions to citizens was also a function of government, which must be done in good faith for the good of the South African people, Radebe concluded.